Over 5km of white sandy beach waiting for you to explore. Beautiful native Sand dunes surround the entire bay. 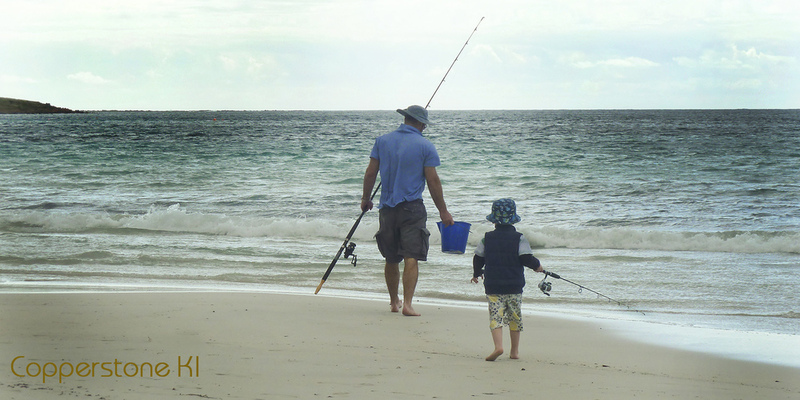 The north coast beaches are known for their clear, shallow waters and Emu Bay is one of the best. Walking, jogging , swimming or exploring - make the beach your own. Take your vehicle all the way to the end of the bay. Four wheel drive is recommended - but not essential - if you stay out of the soft sand. Emu Bay is one of the only beaches on Kangaroo Island with access to vehicles. From Boat launching, fishing from the Jetty - to catching crabs in the rocks. Just relax and enjoy! !